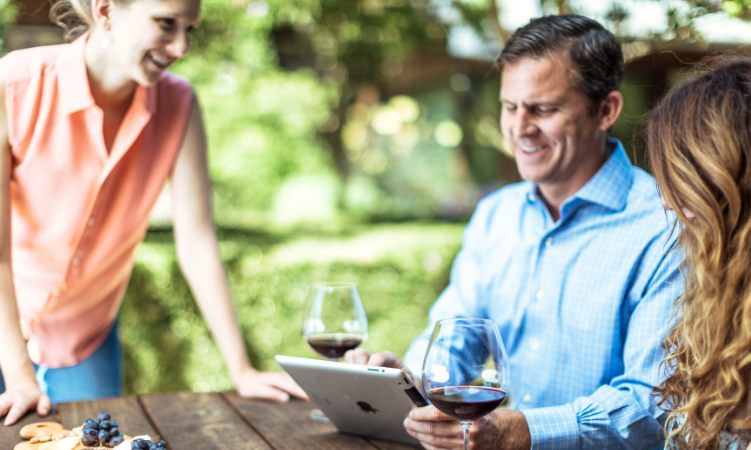 Your wine club members are your biggest fans, and they expect excellence when it comes to club events. So, how do you continue to wow your biggest fanbase and their families at every event you host? You need to organize, diversify and plan for the future. Memorable events take a lot of time to plan. There are many moving parts to bring together and contingency plans to put in place. Event planning usually begins at the beginning of the year. This way you will have enough time to perfect every detail before the big night/day. Likewise, you should send out an event calendar as soon as you finalize your dates. Allowing your guests to plan well in advance will ensure greater attendance and they will appreciate the forethought. First and foremost, your members are looking to have a great time at your event! They want to feel the belonging that comes from being in a club, and they want to be able to share their experience with their friends and family. Enabling them to do that means planning for every possible mishap and every possible success. You're planning for a while out — good weather is never a guarantee. Make sure you have a backup ready for thunderstorms in summer and a warm evening in the dead of winter. No one will want to stand outside in the pouring rain, so be flexible. And avoid understaffing at all costs. Your event could be the biggest hit of the year, but if people start waiting too long for a pour, that will be what they take away from an otherwise lovely event. Understaffing will also hurt your conversions. If there isn't enough support at the checkout counter, you might deter your guests from purchasing that bottle they were mulling over, or from joining the wine club. You want to lower the barrier for people to ask for help or to get involved. People will feel more welcome — and more likely to become or stay a member — when they can easily interact with staff. That comfort will lower the barrier for greater sales and conversions. You should also do your best to maintain the level of care and flow for the entirety of the event. Your guests might be arriving at different times and they should still have a great experience regardless of when they show up! If an event experiences difficulties or "fails," don't despair. Bounce back and use your resources. For example, if a customer had a particularly negative experience, then lean into it. Ask for that critical feedback. Not only does it show you care about what happened, but it also gives you the opportunity to explicitly solve for those issues in your next event. However, be careful not to give misguided expectations. Meet internally to discuss what went wrong and what led up to that negative experience. Brainstorm together how to solve for the next event. Your extra effort will retain members and help your team learn more about throwing a great event. If you're noticing your team pulling out the white linens at each event and setting the tables up just the way they were last time, then you should consider switching things up. Keep your members engaged by entertaining them in different ways. Hesitant to make this jump away from your regularly scheduled programming? Send out a survey to your members! Ask them what they'd like to see more of, or if there is something specific they'd like to experience at a wine club event. Incorporating this feedback will better engage your members and show them you value their input. Take their suggestions and tailor a new event to fit your brand and your audience. You should also look into the type of events your competitors are hosting. This is an opportunity to make sure your wine club events tie into your brand. The closer you can tie your events to your brand, the better you'll be able to diversify from competitors and make your membership an exclusive experience. But remember — not every event will be perfect for every consumer. When you're planning, consider the different demographics in your audience and engage them with targeted events. Plan something for young professionals, empty-nesters, or for out-of-state members! You might not be able to please everyone all the time, but hosting events targeted to different members of your audience will make them feel even more recognized and engaged. Most events are for members only, but when members decide to bring family or friends, don't miss out on an opportunity to convert more people into members. If they loved the experience, make sure you leave your member information out and available for people to consider as they have a good time. Always make a concerted effort to collect customer data. 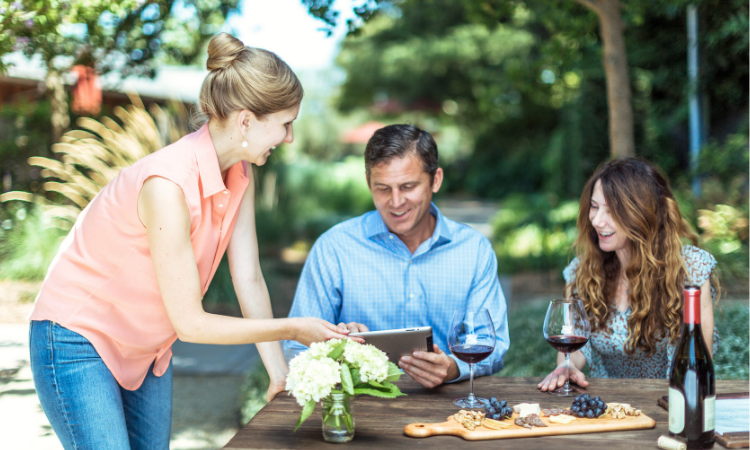 This data is invaluable as you progress your wine club and your business. You'll be able to take notes on each customer and use them in future interactions to create a customized experience. Did that person have a birthday celebration here last month? Your notes say they didn't like the Merlot. Next time you'll be able to take that into account when you're suggesting wines, and you'll be able to use it as a talking point. Your wine club events are the perfect opportunity to further engage with your members and to deepen your relationship with them. 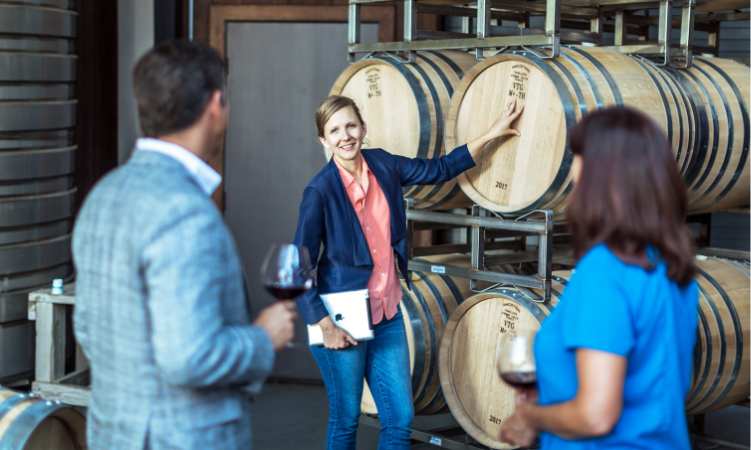 Providing an impeccable experience can be difficult to manage and plan for, but when you prioritize these three points in each event, you'll be on track to delight more and more customers as your wine club grows and your business booms. 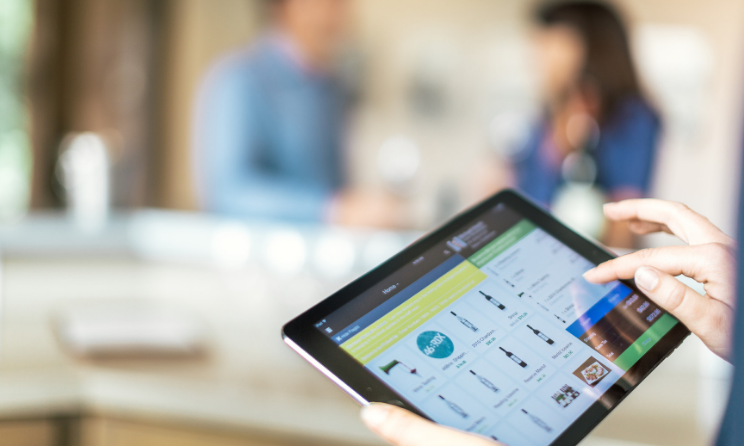 Ready to upgrade your wine club software? Speak to our team of DTC experts today!